When you can’t get away for a spiritual vacation to India, try a meditation retreat at home. I used to feel crappy because I could never afford a meditation retreat. But then I made the clever decision to turn my own home in to my meditation retreat. And let me tell you: best thing ever. Look at it this way: you can go on a meditation retreat for a week, and after the retreat you’re back home in exactly the same space, feeling the same way you used to. Or you can do a DIY meditation retreat at home. You can turn your home into a meditation space, and by meditating at home you train your mind to be relaxed and focused in your own home. A holiday meditation retreat might relax you. But turning your home into a meditation retreat will literally transform your life because it changes the way you feel about the place you are in every single day. So let’s do this. By the end of this you will have done a wonderful DIY meditation retreat. And you might like to read my guide to meditating at home too. You’re going to want to set an entire weekend aside in order to do your DIY meditation retreat. When you enter your home meditation retreat you want to be able to relax and you want to be able to meditate without worrying about what’s going on with the family, with your jobs, and with all those other responsibilities that hard-working you takes care of day in and day out. This meditation retreat is entirely about you. For this reason you’re going to need to prepare for your retreat. Choose a weekend and make sure that you get anything on your mind out of the way before beginning the retreat. The last thing you want is to have chores or responsibilities on your mind when you enter your retreat. Make sure there are no distractions when you go into your retreat. Get everything done in advance and put your feet up. ** Remember to save this page to Facebook / Twitter so you can return to it. No one likes a dirty home. Well, except the rats and raccoons. They love it. You and me? Not so much. In fact, according to Psychology Today, mess is one of the leading causes of stress. In order to help you prepare for your retreat it’s important to make sure that your home is clean and tidy before beginning. The aim is to create a space which is conducive to inner peace. So, tidy up, clean, and make sure your home is in the right state for meditation. Make sure you tidy up mindfully. Buddhist monks use chores as a mindful activity. Whatever you do, do it mindfully. Plus, this way you can begin your meditation retreat early—you wiil already be meditating. In order to make your retreat effective you’re going to want to decorate at least one room of your home. Remember, you don’t have the luxury of being whisked away to a spiritual vacation here. Your home is your temple for today. And the more beautiful and cathartic you can make your home, the more you will relax, and the deeper your inner peace will be. Depending on your taste, this room might just be extremely clean, or it might contain specific objects. You might want to get some Buddhist art, perhaps a water feature, maybe a statue of your deity and any other objects that you associate with spirituality, inner peace and meditation. 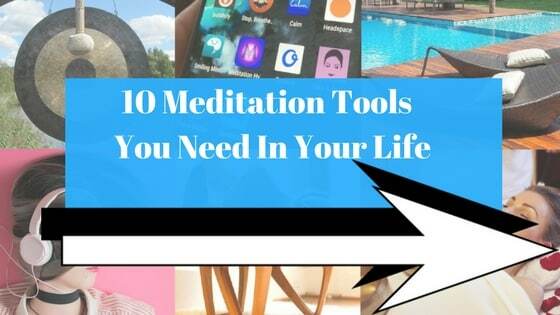 Here are some objects you might like to include in your meditation retread. Meditation music (click the link for some beautiful free music). But how are you going to design your meditation space? That’s an important question. That’s why I put together this guide to creating a meditation room to help you out. Your friends and family may \wonder what you’re up to when they don’t see you for a weekend (unless, of course, you are doing a group retreat with family and friends, which, by the way, is a wonderful idea). Tell people before hand what you are going to be doing so that they don’t distract you. You’ve already put together your cushion, mala, statue and other decorative items for your room. But you’re going to want some form of mindful-entertainment and perhaps educational materials too (if you’re interested in spiritual development). Remember, this is your weekend away to indulge in spiritual relaxation. You don’t know when you will get this opportunity again. So you want to get the most out of it. Make sure that you have books, DVD, CDs and other good stuff so you can learn / be entertained. After all, you might not be literally meditating the entire time you’re on retreat. For part of the time you might like to just put some music on or learn about different meditation techniques. So, be sure to take what you need. Use my guide to the best books to help you out. So now you are completely ready for your meditation retreat at home. Just one question. What are you actually going to do while you are on your meditation retreat? “Meditate” you say. But which kind of meditation specifically? Read my guide to 31 meditation techniques and pick 5 techniques you will do during your DIY meditation retreat. Breathing: Whenever I begin a long period of meditation I start with breathing. Breathing meditations are perfect for general relaxation and for getting you into a relaxes state. 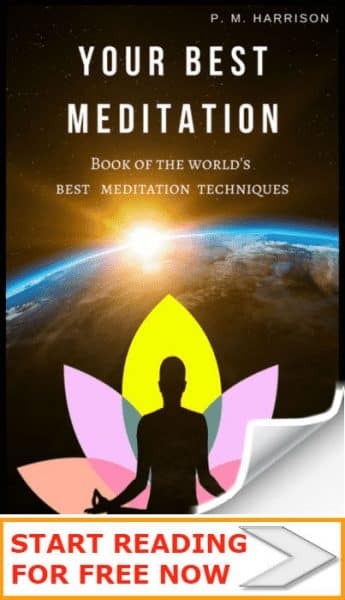 Chakra: Chakra meditations are a powerful techniques for general health. As you are doing a complete retreat you have the time to do a proper meditation on each chakra. Vipassana / Insight: You’ve now got the time to do a good spot of insightful meditation. Personally, when I practice Vipassana meditation I like to do it for at least one hour. That gives me the time to go deep with the meditation. Loving Kindness: Your retreat shouldn’t focus entirely on yourself. During the weekend you’re going to be giving yourself the time to reflect. You will be reflecting on other people; family, friends and others. Take the time to incorporate at least one hour’s worth of loving kindness meditation. Zen: Ah, Zen, truly one of the most beautiful words ever spoken. “Zen”. It means contemplation. And that’s what your meditation retreat is all about. It’s an opportunity for you to contemplate. Well, and to get away from the dishes. So why not try Zen meditation and find some inner peace while you’re on retreat? Yoga: While doing your meditation retreat, make sure to exercise too. The best way is to do some yoga at home. Finally, why not get the whole family involved. That way, your hole home becomes a meditation space. You can even get the kids meditating. So, now you know how to do a meditation retreat at home. I recommend making your retreat last for 48 hours. This will mean that you need to make preparations in terms of deciding what you’ll be eating, when you will be meditating, when you will be exercising and doing yoga (presuming this is also a DIY yoga retreat). Remember to take a computer so you can use all THE DAILY MEDITATION’s tutorials while you are doing your meditation retreat. Why do you want to learn how to do meditation at home? For instance, are you looking for pure relaxation, to improve mental health, to improve focus for business or studies etc? Different types of techniques offer different benefits. Write a list of the things you hope to get out of meditating at home. This will help determine which is the right type of meditation for you. Go ahead and write the list now so you can make the most of the rest of this article. Where are you going to meditate? You have already chosen to practice at home, but where exactly? Some atmospheres are more conducive to inner peace than others. A room with a water feature, for instance, is often a favorite meditation area. Or how about in the garden? I’ve created two free guides that will help you decide where to meditate. The first guide helps you to design a meditation room. The second will help you to create a Zen garden. If you are meditating at home make sure you have a nice meditation chair or cushion (preferably both) to support your body while you meditate. When? Are there ideal times when the home is quiet and you will not be disturbed? If so, this is a great time for practice. Take five minutes to answer these questions now. This will help you to commit. The most important part of learning how to do meditation at home is finding the right time and place in which to do it. There are many distractions at home and it is easy to lose the time. By answering these questions you will create a structure that you can use to meditate each day. A. You can meditate anytime, anywhere. But it’s best to meditate anywhere you feel comfortable and will not be disturbed. Or, on a warm day, try meditating in the garden. A. Try practicing for ten minutes before bed (as you wont be busy then anyway) and also try some mindfulness meditation while doing housework (so you can meditate while stilling getting things done) . Q. I want to practice with my children. Any advice? A. Meditating with children is a great idea, but be sure to pick the right kind of meditation. Simple techniques like breathing are the best here. A. If noise is a problem there are a few solution. You could play meditation to cover the noise. You could go for a walk and do Zen walking. Or you could look for an alternative place to meditate. Q. I find it hard to focus. Any advice? A. Almost all beginners find it hard to focus when meditating. This is naturally. Don’t worry. Keep trying and you will naturally develop more focus over time. Q. Should I find a teacher or school before beginning? A. This is entirely up to you. It certainly isn’t necessary. It is safe and relatively easy. That said, the knowledge a meditation teacher or school can offer is valuable. It depends how much you want to get out of meditation and how much you are willing to invest. Q. I’ve been practicing for a few weeks but haven’t seen much benefit. A. Try changing technique. If you’re been using seated try standing or moving. If you’ve been doing mindfulness meditation, try mantra meditation etc. Q. Is it okay to practice in bed? A. Practicing in bed is okay but not ideal. The reason it is not ideal is because you want to meditate while you have energy. If you’re tired when you start meditating you’re likely to just drift off. We hope you have found this article useful. If you would care to share this page on Facebook and elsewhere it would be greatly appreciated. Thank you. I would love to know how your retreat goes. Leave a comment and remember to subscribe to our newsletter.